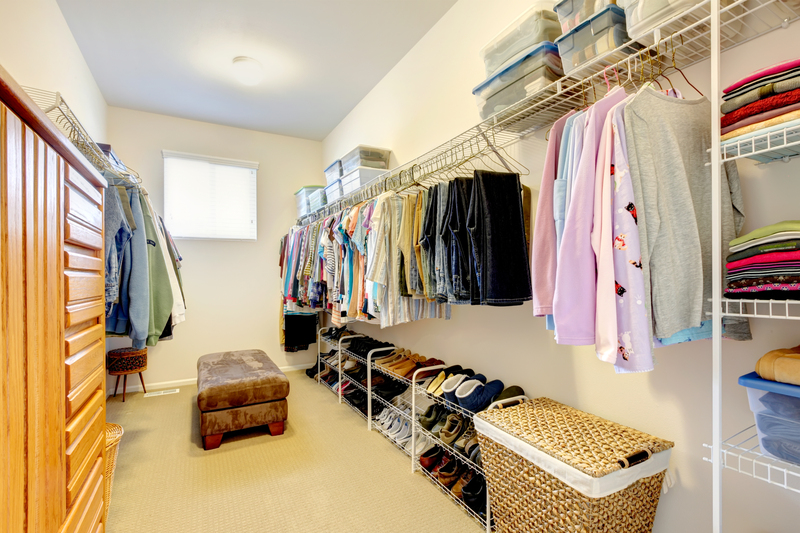 Clean closets are a must! Your Closets Should Be Mostly Empty. Every buyer is looking for storage, and you’ve likely outgrown yours. Appeal to potential buyers by decluttering your closets, or even putting some of your storage into an off-site storage unit while your home is on the market. Make sure that what you do leave behind is neat and organized. Web Appeal is the New Curb Appeal. By the time a buyer shows up to look at your home, they will have likely toured it via online photos. What does this mean? First, your home needs to look its absolute best when the listing photos are taken. Second, it’s important to include all the home’s best features in the online listing photos. Whether it be a hot tub, a large backyard or a great basement bar area, your buyer should know what to expect when they arrive for a showing or open house. The First Two Weeks Are the Most Important for Sellers. If you’re thinking you’ll price your property high and bring down your price gradually if needed, think again. Homes receive four times the traffic in the first two weeks after listing, so a property lagging on the market can be a red flag to today’s buyers. Think about the eager buyers who will see your home in “Just Listed” ads across the web and in email alerts, and offer them a fair price right away. The feeling of getting early showings or an offer will far outweigh the feeling of an offer that comes after you’ve lowered your price a month later. Be Ready to Show at Any Time. Today’s buyers are excited and competitive. They may be willing to drop everything to see your home the minute it comes across their screen. As a result, you must be vigilant to clean your home after every meal and between laundry days. Don’t leave for work, or even a quick trip to the store, without making sure your home could be toured before you return. Be Ready to Sweeten the Deal. We’re still in a moderate seller’s market, so most sellers are at an advantage. But if your home isn’t quite modern enough, or isn’t as nice as the one down the road, you may have to sweeten the pot by paying closing costs, buying home warranty for the buyer, or even just getting a pre-sale home inspection so buyers are confident in your home’s ability to sell as-is. I would love to talk with you more about prepping your Central Oregon home to sell. Reach out any time for more information – cell (541) 410 – 8373 or email welcome@kindrednw.com.